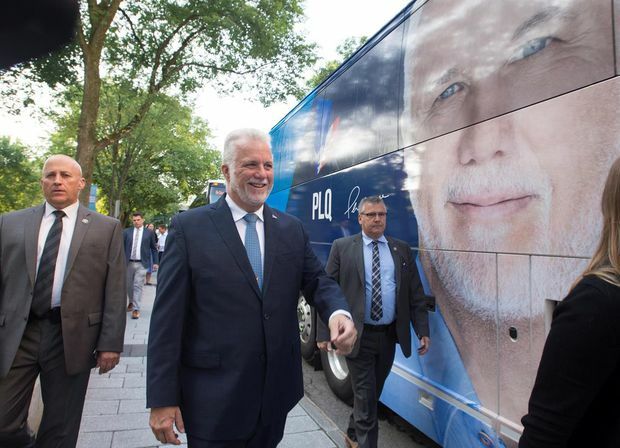 Quebec Liberal Leader Philippe Couillard smiles as he walks to visit his campaign bus Aug. 23, 2018 as he launches the provincial election in Quebec City. Premier Philippe Couillard is asking Quebeckers to give his Liberals another mandate as the party of stability and firm stewardship, gambling that voters will opt for continuity even at a time they say they want change. The Liberal Leader launched his re-election campaign Thursday, vaunting his government’s economic record and depicting his main rival, François Legault, as a leader of shaky federalist faith who would create confrontation. "The choice will be between stability and instability, progress or starting over,” Mr. Couillard said. The front-running parties in the Oct. 1 vote are struggling to define the ballot question in an election that, for the first time in 40 years, will not revolve around the issue of Quebec sovereignty. Mr. Couillard is betting electors will go with what they know. The Liberals have traditionally benefited from the anti-sovereigntist vote and played on federalists' fear of another referendum. With that issue off the table, Mr. Couillard recast the threat from the opposition by presenting Mr. Legault as a figure seeking conflict. Mr. Couillard’s challenge is that Quebec voters have voiced a strong desire for change, and the Liberals have been in power for 15 nearly uninterrupted years. So far, polls suggest Quebeckers see Mr. Legault’s Coalition Avenir Québec (CAQ) as their political vehicle for that wish. Mr. Legault gave a glimpse into his campaign themes by attacking the Liberal record on areas like integrity, health and education, noting Quebec’s worsening drop-out rate. Speaking at his campaign launch, he cast the Liberal government as tired. 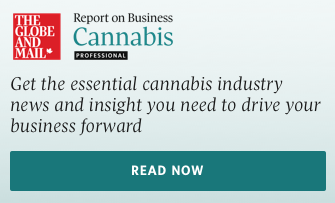 The former Parti Québécois minister is also promising tax cuts and setting the minimum age for buying and consuming marijuana at 21. His party’s policies include a flat rate for daycare, a 20-per-cent cut in immigration and a ban on religious symbols for teachers, police officers and other authority figures. Polls give his centre-right party a comfortable advance, especially among the crucial francophone electorate whose numbers ultimately seal the outcome of Quebec elections. An Ipsos poll published Thursday gave the CAQ a seven-point edge over the Liberals. However, voters have been telling pollsters they could change their minds before voting day. The election presents generational change for Quebeckers. Observers call it an election of political realignment. With the six-year-old CAQ, voters could send an untested party to the National Assembly for the first time in four decades. Not since the PQ was elected in 1976 under René Lévesque has a new political formation taken the helm of government in Quebec. Since then, power has been traded between the PQ and the Liberals. The PQ, meanwhile, is fighting for its survival, trailing the other parties in third place. Jean-François Lisée leads the PQ into the campaign without the party’s foundational raison d’être. He has promised that a PQ government won’t hold a referendum in a first term, taking a risk that sovereignists will stay home or throw their support behind either the CAQ or the left-of-centre Québec Solidaire. Mr. Couillard enters the race able to boast a strong economic performance, including a provincial unemployment rate of 5.6 per cent in July, below the national average. But years of austerity could exact a political price. Immediately after Mr. Couillard called the election, Mr. Lisée attacked his government for pushing austerity measures on the backs of vulnerable Quebeckers. The PQ Leader tried to position his party as an alternative to the Liberals. Quebeckers will elect 125 members to the National Assembly (MNAs). At dissolution, the Liberals had 68 seats, the PQ had 28, the CAQ, 21, and Québec Solidaire, three. Five MNAs were sitting as independents.